This hard drive eraser lets you wipe a SATA solid-state drive (SSD) or hard drive (HDD) without connecting to a host computer. It’s compatible with 2.5" and 3.5" drives and supports SATA I, II, and III, and large capacity drives, including 4Kn drives. You can rest easy when using this eraser to retire, re-use or re-purpose a drive. No data will remain on the drive and nothing will be accessible with data recovery software. The eraser meets global requirements, including the new NIST (SP 800-88 Rev1) standards, ensuring that all drives are properly wiped. 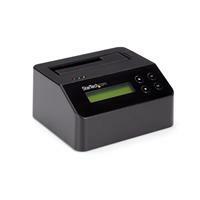 The hard drive eraser can connect to an RS232 serial printer to print a record of the erase procedure. The receipt shows the time and date of the erasure, and the erase mode used. The LCD also lets you monitor erase performance and completion. 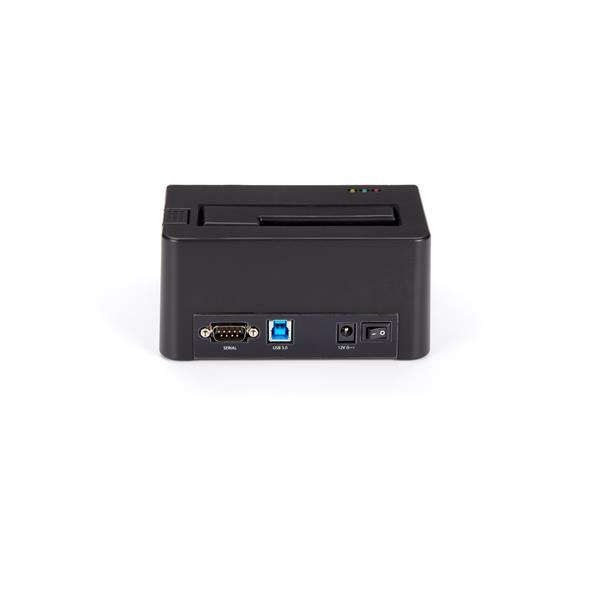 The eraser can be used as a SATA dock when connected to a USB 3.0 computer. It supports data transfer speeds of up to 5Gbps. SDOCK1EU3P2 is TAA compliant and backed by a StarTech.com 2-year warranty with free lifetime technical support. 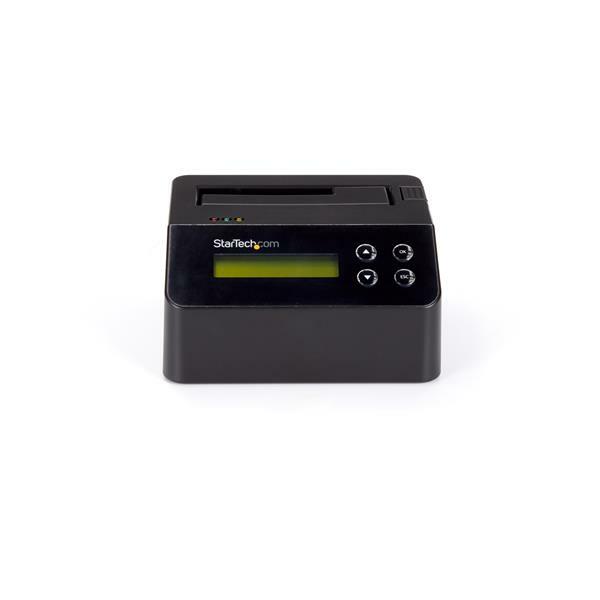 Note Receipt printing through the RS232 serial port requires a printer which supports the ESC/P printer control language.